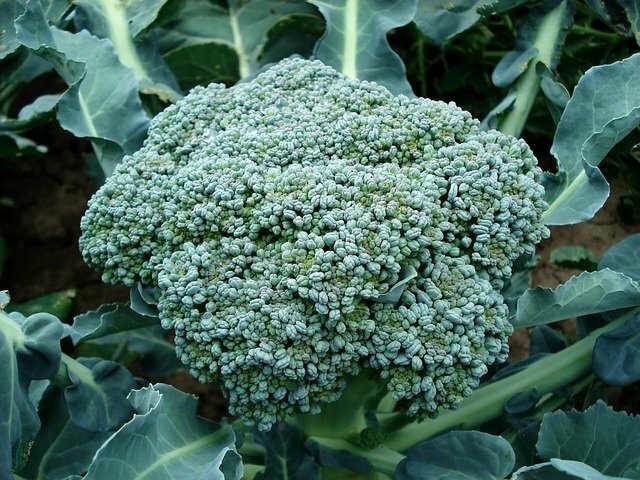 Broccoli is a winter vegetable from the cabbage family and is related to cauliflower! This category of vegetables has a strong flavor and many people dislike them, especially kids! Lots to love about these vegetables though, from their immense cancer fighting power, nutrient value, and taste! Definitely a healthy diet habit to include this versatile vegetable whenever you can! A healthy serving size is 1 1/2 to 2 cups. Choose a vegetable from this category each day for optimum health and immunity. One pound should provide two servings. Use it to fill half of your plate, rather than as a garnish, which most people do. This is a cancer fighting vegetable. 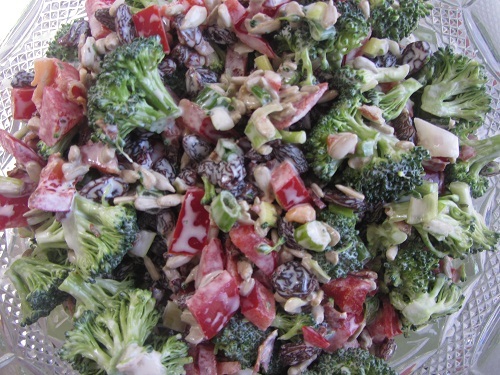 1/2 cup of broccoli per day is only 22 calories and is enough to give your body the ability to fight cancer. A good source of Vitamin C, Vitamin E, Zinc, manganese, phytonutrients, flavanoids, and carotenoids. High in fiber with 2 cups providing around 10 grams of fiber. 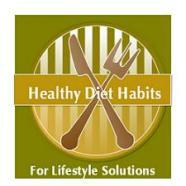 This will keep you full and help you to eat less caloric foods. Comes in dark green, sage, a purple green color depending on the variety. Choose flower clusters that are close together and not open or yellow. Choose vegetables that are firm and not wilted. Do not wash or cut it until you are ready to use it. Water can cause it to quickly spoil and lose vitamins quicker. Cut it in similar size pieces for even cooking. Score the stems twice lengthwise to separate them into fourths. This allows the stems to cook as quickly as the flowers. If you wish to remove the stems that is okay. They can be cut into 1/2 inch sections and cooked a couple of minutes longer than the flowers. Stems are a great addition to stir fries. When stir frying, add a small amount of liquid, and cook covered. It only takes about 3 minutes for the flowers to cook. I usually add this vegetable last to my stir fries when they are almost done. Do not overcook them as they become inedible mush. Great eaten raw, steamed, in soups, pastas, salads, egg dishes, stir fries, or any dish that you can imagine. Grate the stems and make slaw or buy prepackaged bags! 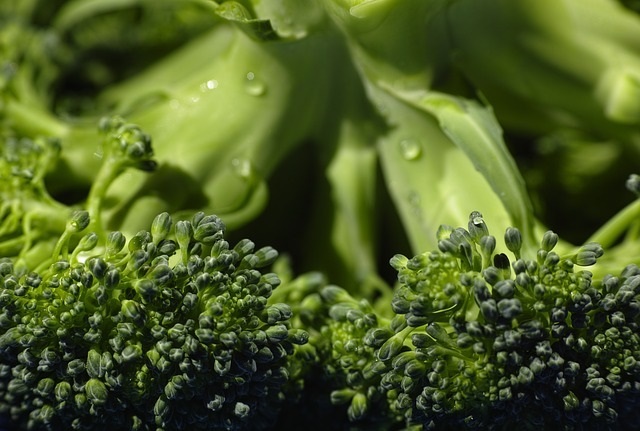 Broccoli should be one of your go to vegetables of choice due to its health benefits. Add it to your meal plan several times a week. Learn to cook it quickly, so it is remains crunchy, or eat it raw. Do not overcook it or you will dislike it. Never burn it! Trust me on that one! Lifestyle solutions involve making changes, practicing healthy cooking, and becoming an expert in increasing your vegetable choices!